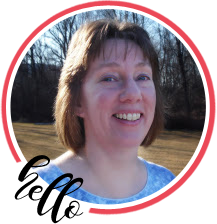 Welcome to the Cheery Lynn Designs January 2017 New Release Blog Hop. Be sure to hop all the way through and leave a comment answering one or more of the questions on the Cheery Lynn Blog post for a chance to win a $20 gift certificate for Cheery Lynn Designs. My card is A2 sized (4-1/4″ x 5-1/2″). I then cut a piece of handmade marbled paper at 3-3/4″ x 5″ and added a piece of white mulberry paper behind that with torn edges. Then I mounted that to the card base. 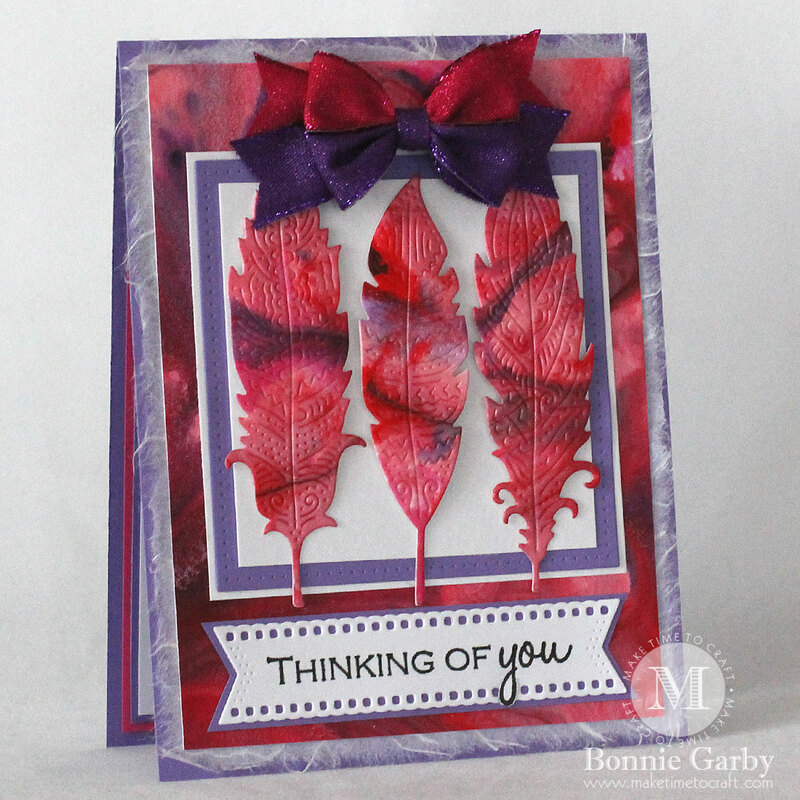 I die cut the feathers using the same marbled paper. I then cut a piece of purple cardstock using the square pierce and cut die and cut two squares in white cardstock – one smaller and one larger than the purple. I layered and adhered them all and added the feathers to the top with some foam tape for dimension. I stamped my sentiment and cut it out with the pierced banner die. To get the dove tail on each side, I run it half way through, then flip the die around and line up the holes and cut the other half. I then backed it with purple cardstock and attached it to the bottom of my card. My card was finished off with a glitzy bi-color double-loop bow created on my Bow-it-All V3.0 tool using purple and fuchsia Glitz Ribbon from Really Reasonable Ribbon. This is so pretty and eye catching!! 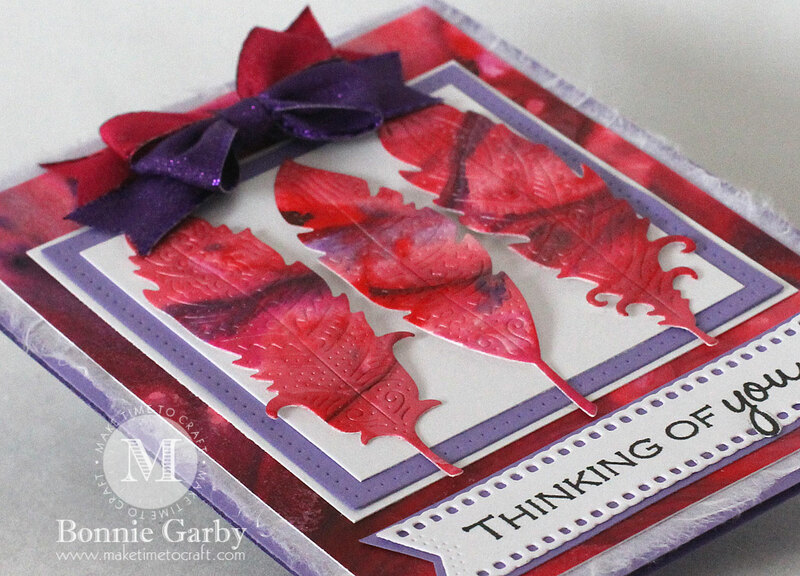 Thank you for sharing how you used the banner die.